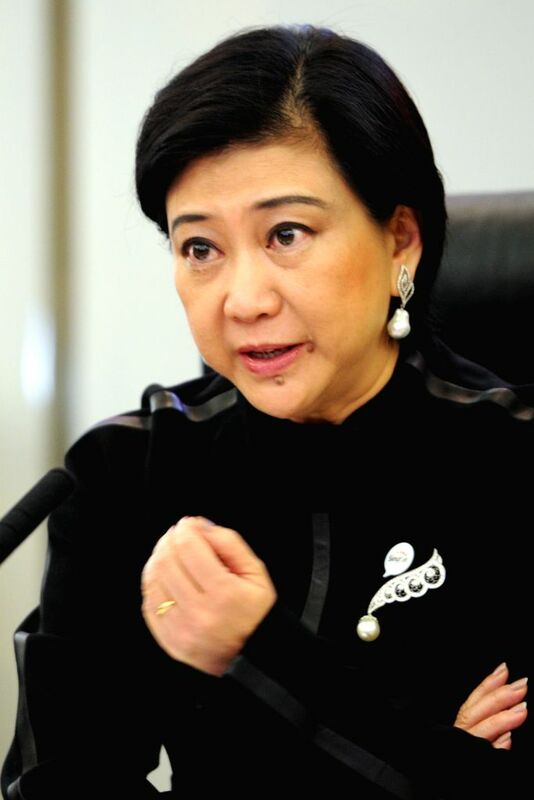 SINGAPORE, April 8, 2015 - Group Chief Executive Officer of Singapore Telecommunications (SingTel) Chua Sock Koong attends a press conference in Singapore, April 8, 2015. SingTel on Wednesday announced the acquisition of a 98% stake in U.S. cyber security company Trustwave Holdings Inc. for 810 million U.S. dollars. 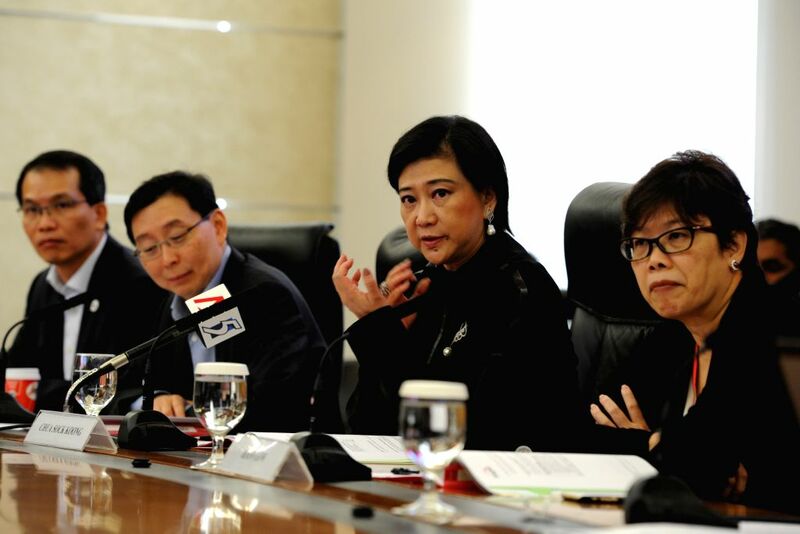 Group Chief Executive Officer of Singapore Telecommunications (SingTel) Chua Sock Koong (2nd R) attends a press conference in Singapore, April 8, 2015.